At age 16, Jordan Little was pushing himself physically in swimming, soccer and track when his knee began to hurt. A local orthopedic surgeon gave him an MRI to confirm his suspicion that Jordan had a torn meniscus. Instead, the test revealed abnormal spots on his bones that led to a very different diagnosis: The teenager had acute lymphoblastic leukemia. Now three years into remission and a first-year osteopathic medical student at DMU, Jordan will be among the panelists at the University’s Katie Miller Young Adult Cancer Conference on May 1, 5:30 to 8:30 p.m. in the Olsen Center. Themed “Mental Health and Survivorship,” the conference will identify common challenges that arise when a young adult is diagnosed with cancer; differentiate between young adults who are at low versus high risk for social and emotional challenges; and identify resources available to support young adults diagnosed with cancer. The conference is free to attend, but registration is highly encouraged so we have a proper count for dinner. Target audiences include DMU students, employees, health care professionals, social workers and families who have been affected by young adult cancer. More than 60,000 young adults ages 20 to 39 are diagnosed with cancer each year in the United States. About 9,000 young adults die from cancer each year. Cancer is the fourth leading cause of death in this age group, behind only accidents, suicide and homicide. Survival rates for cancer in young adults have not changed much in recent decades, unlike the improvements seen in many cancers in children and older adults. Too often, symptoms or warning signs are ignored or dismissed due to the age of the patient. Joining Jordan on the conference panel will be his mother, Carina Little. “I’m not a public speaker, but there may be someone in the audience who needs to hear what I have to say,” she says. That is true of the conference’s namesake: Katherine Miller, known as “Katie” by her DMU classmates, was beloved for her kindness, determination, compassion and drive. 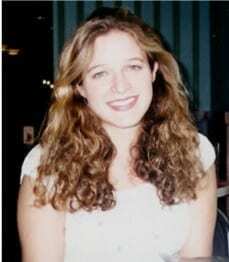 She succumbed to colon cancer in 2005 at age 26, just six months after being diagnosed. Her family generously supports the conference to honor Katie and other young adult cancer victims and survivors as well as to generate public awareness, discussions and research on the disease. Since his cancer went into remission, Jordan Little has served as a counselor at a camp near his hometown of Watertown, SD, for children with cancer. In 2017, he and his brother, Dylan, were among 40 cancer survivors and care-givers that climbed 19,341 feet on Mount Kilimanjaro with Above + Beyond Cancer, a charity founded by Des Moines, IA, oncologist Dr. Richard Deming to “elevate the lives of those touched by cancer.” The two brothers blogged about the trip, which inspired metaphors for life. 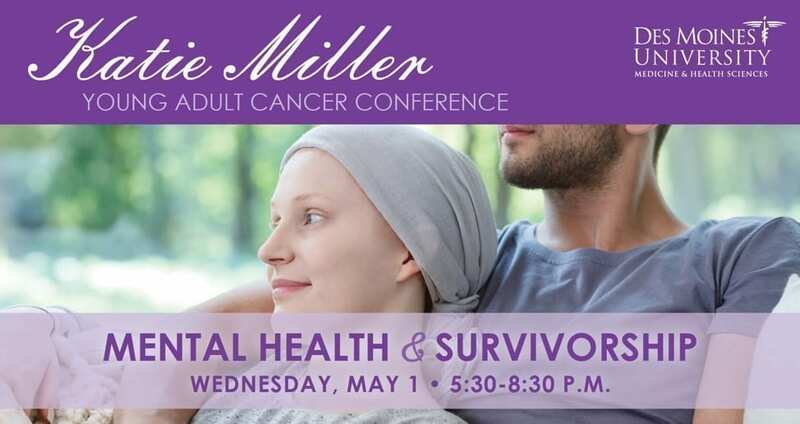 For information on other speakers at the Katie Miller Cancer Conference, available continuing medical education credits and other details, visit the conference website. The Katie Miller Cancer Conference is a ceremony of remembrance and hope. It is a way to honor young adult cancer survivors and those who have lost the battle. It is a time to grieve for those we have lost, to reflect on our own or loved ones cancer experience, and to find hope that tomorrow holds the promise of a cancer-free world. If you are interested in honoring a loved one, you may purchase a survivor or in memory of poster for $10 (covers the cost of printing). The posters will be displayed at the conference. Click here for additional information.